Click here for 2014 Program Diary. Link opens new window. (1/11) Introduction: This program is specifically designed for high school students studying the Japanese language and Japanese culture. 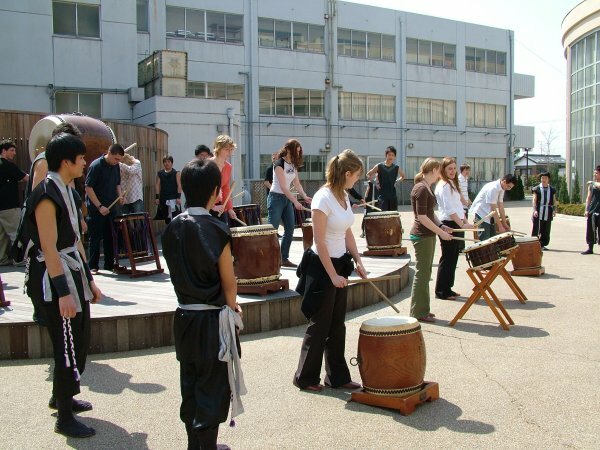 The opportunity to study in Japan in a high quality, professionally managed pre-college environment is a rare one. Most high school students who come to Japan do so on exchange programs, which while beneficial in terms of travel and in developing cultural awareness for the participant, are usually primarily designed to improve the English language skills of students of the host schools. 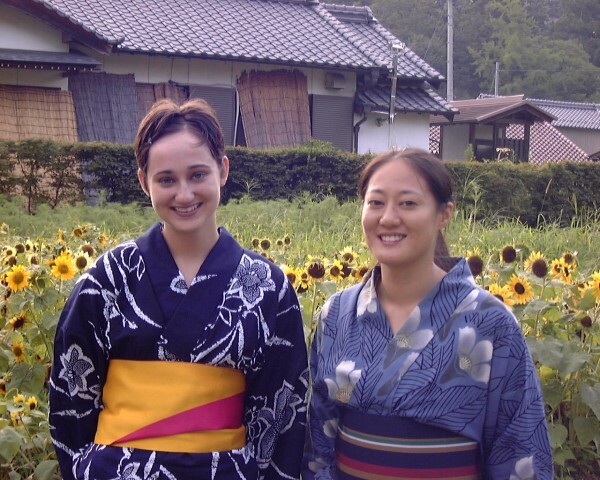 However for high school students studying Japanese or who are planning to study Japanese in at college or university level, what is really needed to obtain a solid improvement in Japanese language skills, and understanding of Japanese culture, is a carefully structured full immersion program. This is a two part program, featuring 3 weeks of full time language classes, and an optional 2 week Study Tour, combined with the full immersion experience of a carefully selected homestay. You can do one part of the program, or the other, or both. 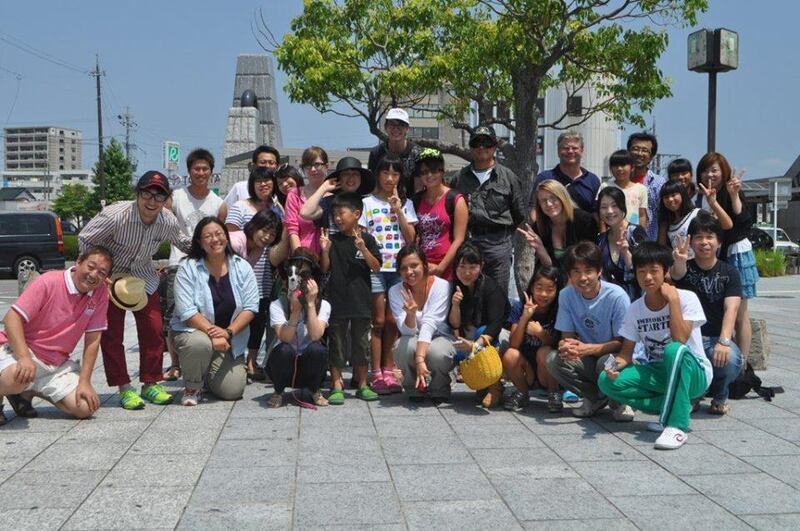 Similarly, to enable family and friends to participate, the Study Tour can be enjoyed as a stand alone option, without needing to enroll in a language program. 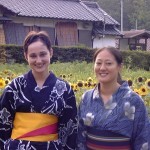 All guides are experienced and bilingual. The curriculum is designed to rapidly improve your listening comprehension, speaking skills, accent reduction, reading comprehension, and ability to compose written work (online and/or by handwriting). If you complete both modules, you will easily exceed more than what is usually covered in one year of university level Japanese language studies, and see and experience places that most visitors to Japan (and most Japanese people foe that matter) don’t even know exist. Weekly Friday field trip. 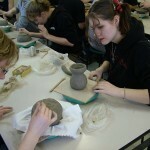 Making ceramics in the home of a Master potter in Tokoname, Aichi. 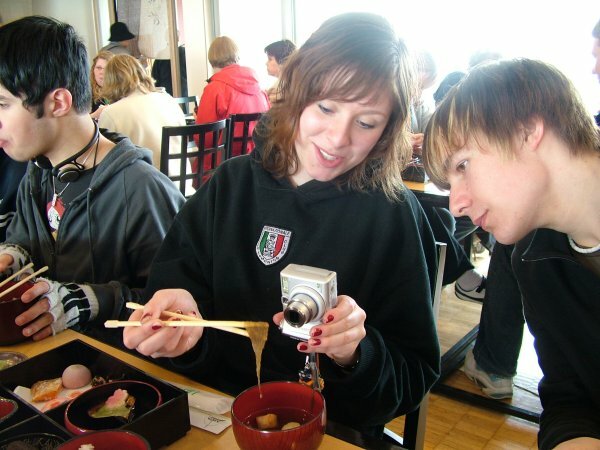 During the three week Study Program, classes will average 20 hours per week including intensive language learning in small groups (maximum class size is just 6) with highly qualified and experienced instructors, Nihongo Cafe (conversation class or “Kanji Clinic” with faculty over a long lunch each weekday Monday through Thursday), and a field trip each Friday where you can put your language skills into practice. Even though this is a pre-college program, our only pre-college program, all class coordinators have Masters degrees and a minimum of five years of teaching experience. 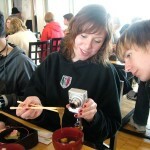 Each class is taught by a team using the direct method (teaching using Japanese only). The small size of the class ensures individual attention despite summer being our peak season, and plenty of opportunities to practice speaking and communication skills. (2/11) Schedule: The Study Program component commences on Thursday July 2nd, 2015. Please schedule your arrival for no later than the day before commencement. The first day will involve an Orientation, Placement Interview, Listening Test and explanation of the curriculum and schedule. Each class period is of 50 minutes duration, with 10 minute breaks in between. Tea and coffee are provided. 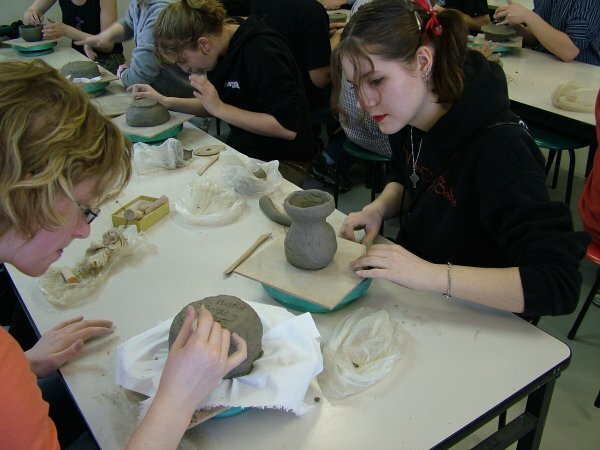 Classes begin at 9:00am, and finish at 2:00pm Mondays to Thursdays. On Fridays you will commence at 9:00am, and usually finish around 5:00pm. Click here to view Class Schedule. Exploring the mysteries of the daily lunch. The Study Tour component of the program commences July 24th. If you are participating in the Study Tour only, please schedule your arrival for no later than the day prior to your commencement. If you are traveling across 6 time zones or more, then we advise arriving two days prior to start, as this will help you recover from any jetlag experienced, and adjust to your new environment. Summers are hot & humid, so please dress for comfort. Light cotton clothing is advised. If you are planning to participate in the Mount Fuji Climb, please bring warm clothing as temperatures at the summit are often below zero, and hiking boots. Classes are not scheduled on Public Holidays. 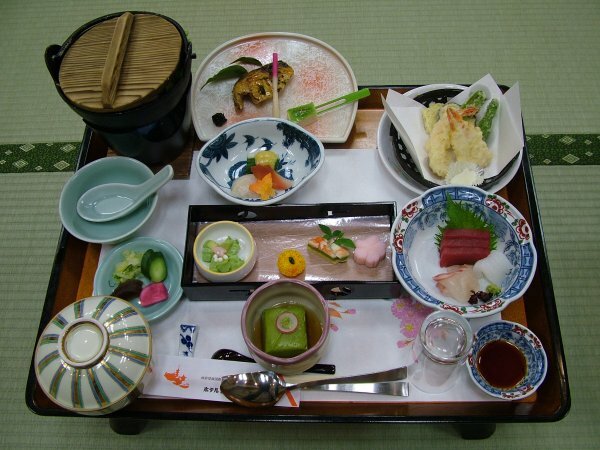 During the Japanese Summer Program for High School Students, there is only one of these, “Umi-no-hi” (Ocean Day). An optional tour or cultural activity is usually available on July 20th if you wish to take a break from your studies, and the annual Mount Fuji Climb is usually scheduled for the first two days (July 18th-19th 2015) of this long weekend. Students in this program are required to have parental/guardian permission confirmed, prior to applying for the climb. 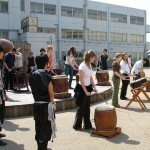 Learning Taiko with Japanese students during a visit to a local High School in Okazaki. (4/11) Fees & Costs: There is a small registration fee of 5250 yen. This fee is waived if you have studied with us before. Bank fees in Japan are usually about 4,000 yen for an International Money Transfer. All fees below include Japan’s Goods and Services Tax (8%). A 10% Discount Fee is available for early payment (early bird – 16 weeks prior to commencement), or students enrolling with letters of recommendation from their Japanese language teacher and school principal. The participation fees listed below include all tuition as well as the homestay fee (which is allocated in full to the host families, we thoroughly check host family environments, but take no commission from homestay placements). You can enroll in either the Study Program component only, or the Study Tour component only, or both. Students participating in both components of the program receive a discount (15%), and can further reduce the cost by making use of the early bird discount. The calculator gives an approximate exchange rate. Our invoices are denominated in Japanese Yen and are valid for 55 days. Invoices may be issued in AUD/Euro/GBP/USD on request, but are only valid for the month during which they are issued. Please make a note of the Course Code, as it is needed for the application form. (5/11) Accommodation: All applicants requiring accommodation will receive assistance from ALC and placement. However please note, that All students participating in this program are required to stay in a Homestay, unless accompanied by a parent or guardian. For this program, the homestay fee is included in the program price. If a student is being accompanied by a parent or guardian, then a separate invoice can be issued for a studio apartment. For more information please click here. (6/11) Entry Requirements: The minimum age at the time of commencement is 15 years. The maximum age is 18 years. As the legal age in Japan is 20 years of age, all participants in this program will be required to have the permission of their parent or guardian. Separate permission is required for the Mount Fuji climb. All applicants need to be enrolled in high school studies at the time of application. Applicants from some countries may need to have a Japan based guarantor before the Letter of Acceptance can be issued. Please check the Visas page to see if you will require a guarantor. a) Check visa requirements, especially the information regarding guarantors. c) After receipt of the form for Parental/Guardian consent, complete this and send by email or fax. e) Receive your Letter of Acceptance and supporting documentation. f) Purchase a return ticket to Japan if necessary. g) If you need to apply for a visa, visit a Japanese Embassy or Consulate. 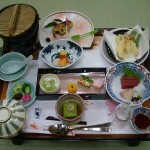 Wearing Yukata (浴衣) in Asuke, Summer Festival.